When Capt. 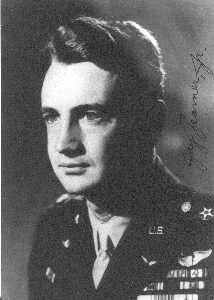 Jay Zeamer, a member of the 43d Bomb Group, lifted his B-17 off the runway at Port Moresby, New Guinea, on June 16, 1943, he knew, as did every member of his crew, that this was a vitally important mission. The lone, unescorted bomber was headed for Buka, a small island just north of Bougainville, some 600 miles to the northeast of New Guinea. They were to photograph Japanese installations and then map the west coast of Bougainville as far south as Empress Augusta Bay in preparation for the Allied landings that were scheduled for late October or early November. There might not again be a clear day over the area in time to fly another mapping mission and prepare detailed charts for the invasion force. It was now, or perhaps never. In the course of his 47 previous missions, Zeamer had flown over Bougainville before and encountered only light opposition. But, unknown to Zeamer if not to higher headquarters, the Japanese had moved about 400 fighters into Rabaul and the Solomon Islands during the night of June 15. Zeamer was flying into a hornet’s nest, as he was soon to find out. But Zeamer would have volunteered for the mission anyway, and so would have most of his crew. After months of frustrating shortages and overwhelmingly adverse odds, the war in the Pacific was turning around. Slowly, the Japanese were being pushed back in the Southwest Pacific, and Bougainville was a key to taking, or bypassing, the great Japanese base at Rabaul. The photo recce part of the Buka mission went off without incident, though 22 enemy fighters were seen taking off from the island’s airfield. A few minutes later, Zeamer started a mapping run along Bougainville’s west coast. Forty-five seconds from completion of the run, his B-17 was attacked head-on by five Japanese fighters. 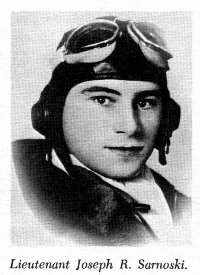 Though wounded in the attack, Sarnoski continued to fire his nose gun, shooting down two enemy aircraft. Had it not been for him, says retired Lt. Col. Jay Zeamer, the B-17 would have been destroyed by that initial attack. For his part, Zeamer shot down one of the attackers with a nose gun fired by a button on the control column–a rare, perhaps unique, achievement for the pilot of a heavy bomber. Then a 20-mm shell exploded in the nose of the bomber, hurling Sarnoski into the catwalk under the cockpit and riddling Zeamer’s arms and legs with shell fragments. With a supreme act of will, the mortally wounded Sarnoski dragged himself back to the nose and continued to fire until he fell dead over his guns. The head-on attack knocked out the B-17’s oxygen and hydraulic systems and all flight instruments. Zeamer, with a broken leg and multiple deep lacerations, put the bomber into an almost vertical dive from 25,000 feet to about 10,000 feet. He could judge his altitude only by the increase in engine manifold pressure. As he leveled off, an estimated 17 enemy fighters resumed the attack from all quarters, staying with the B-17 for 45 minutes until they ran low on fuel. During the running battle in which Zeamer saved the B-17 by taking violent evasive action, his crew shot down two fighters and probably downed another two. Although weak from pain and loss of blood, Zeamer refused medical aid and remained at the controls until the enemy fighters had left. Then, during moments of consciousness, he assessed the condition of the bomber, decided it could not make it over New Guinea’s Owen Stanley Mountains, and directed his copilot to land at Dobodura on the east coast. With no brakes or flaps, the B-17 ground-looped to a stop with one dead and six wounded aboard. Only the copilot and two gunners had escaped injury.